Available in Paperback May 5, 2019! 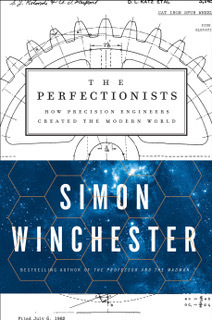 Delighted that under its UK title, Exactly, and in the US, The Perfectionists, it has been short-listed for the Royal Society Science Book Prize (the most prestigious prize in the field). It is one of six. Click here to see full Twitter thread. 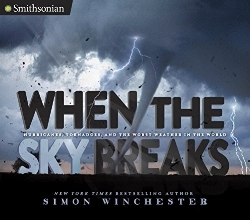 SIMON WINCHESTER is the New York Times best-selling author of The Professor and the Madman. His recent titles include Atlantic and The Men Who United the States. Winchester was awarded an Order of the British Empire (OBE) for his services to journalism and literature. He lives in Massachusetts and New York City. Arcanum. By chance my ceramicist-wife put a hand-thrown porcelain lampshade into our kiln today, reminding me of this classic book of ten years ago, The Arcanum, in which Janet Gleeson recounted the obsessive European quest to copy the marvels of Chinese craftsmanship. She chose the title from the Latin for a hidden thing, a mystery, one of the most sought-after secrets of the alchemists. The Chinese arcanum was all bound up in the proportions, widely known now, and which I trust Mrs. W. got right in her pure white lampshade, cooking away steadily today..